The design is responsive and mobile-ready. 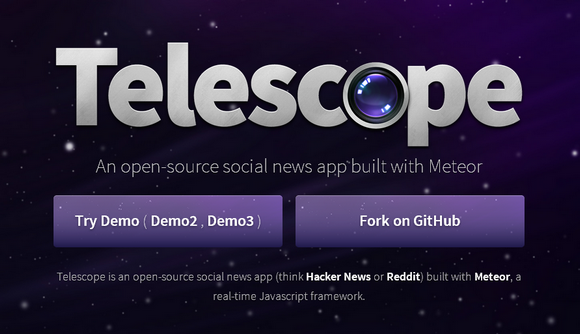 You can think of Telescope as a social news website like Hacker News or Reddit. Telescope is beta software. Most of it should work but it’s still a little unpolished and you’ll probably find some bugs. It is open sourced and released under MIT license.